From contemporary armchairs and candles to ceramics and cushions, there is something for everyone! 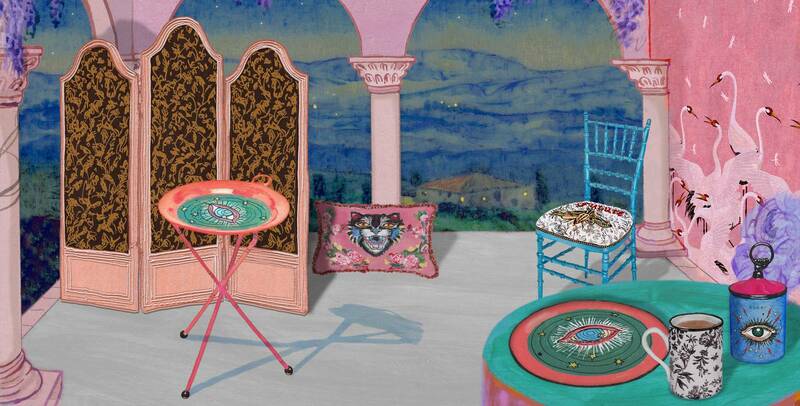 The eclectic aesthetic of Gucci comes alive once again, through a collection of furniture, furnishings and decorative items with which customers can dress their own spaces. Displaying a multitude of motifs from the house’s catwalk show, the collection is a commitment to the craft and artisanal skill associated with Italian makers. From contemporary armchairs and candles to ceramics and cushions, there is something for everyone! 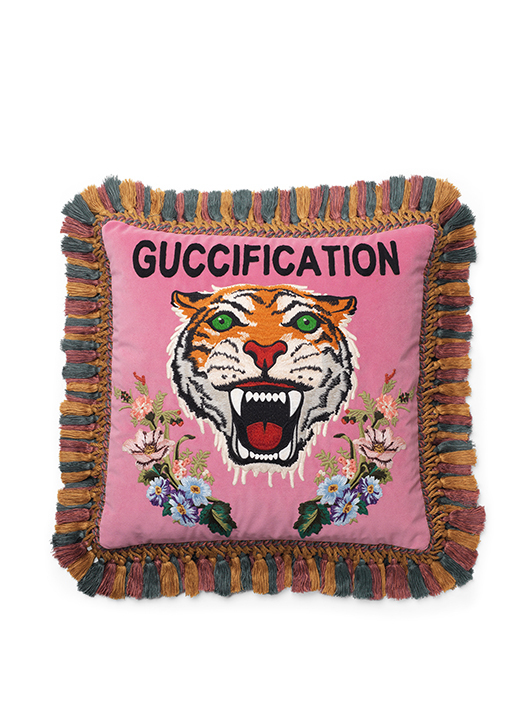 But be sure to keep your eyes peeled as there is no dedicated area for the Décor Collection within Gucci stores. Instead, to emphasise the notion that these pieces are simply another way to dress in Gucci, they are spread throughout Gucci store interiors, integrated with clothing, accessories and shop fittings. 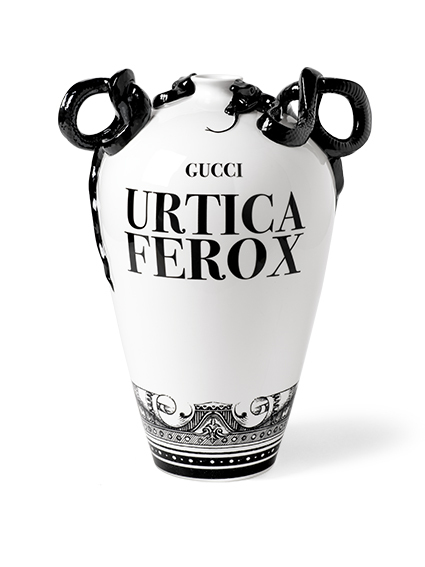 – Handsome vases decorated with slogans and patterns from the house that come with decorative snakes for ‘handles’, these pieces, like many of Gucci’s ceramics, necessitate the use of hand-painting that takes hours to complete. 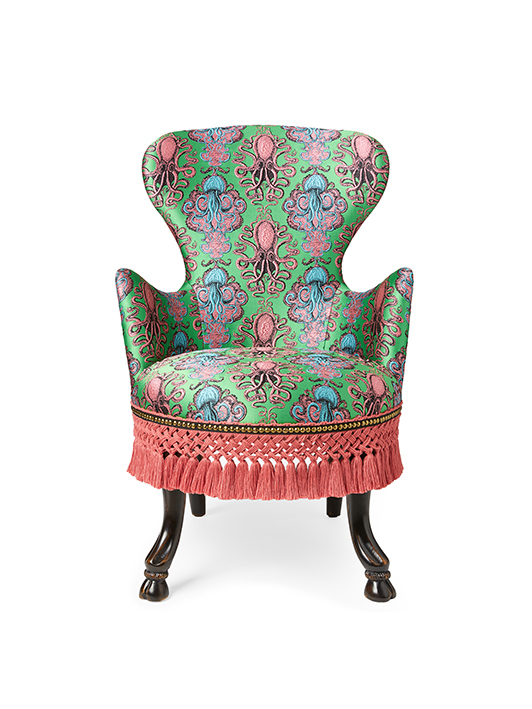 – The Capitonné porter’s chair in coloured leather or velvet, with a drawer at the bottom, is based on the high-backed and canopy-covered chairs used in England, and later in 16th–century France, in which servant gatekeepers used to sit in the entrances of great houses. This armchair is entirely made by Tuscan artisans and is characterised by its egg-shaped backrest, which takes 28 hours to make, the entire chair taking around 64 hours to complete. The drawer in each model is upholstered with a Gucci jacquard fabric. 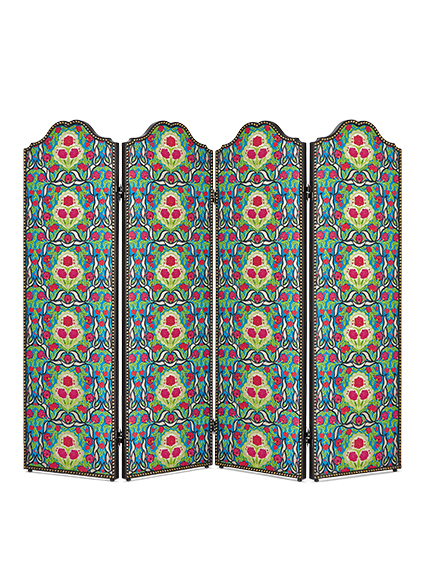 – For those who want to make a particularly strong decorative statement, there are a number of ornamental folding screens, covered in patterned fabric or lurex jacquard that have been created to partition living spaces. 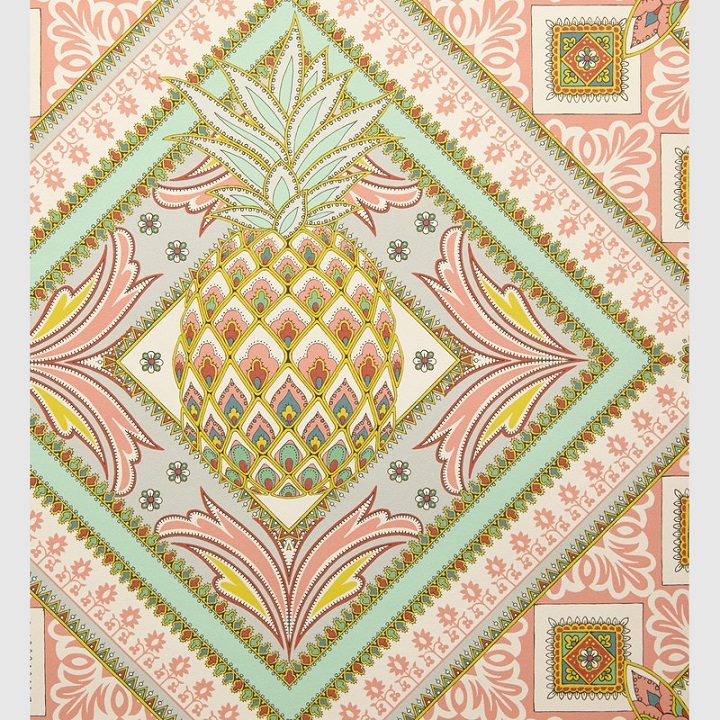 Finally, there is a range of unconventional wallpapers in vinyl, paper, or silk. A postcard design taken from the pre-fall 2017 fashion collection sits alongside a floral pattern that was featured in the house’s fall/winter 2015-16 collection.